LONDON – Smoking causes one in 10 deaths worldwide, a major new study shows, with half of them in just four populous countries: China, India, the United States and Russia. There were nearly one billion smokers in 2015, despite tobacco control policies having been adopted by many countries. That number is expected to rise as the world’s population expands. One in every four men is a smoker and one in 20 women. Their lives are likely to be cut short, since smoking is the second biggest risk factor for early death and disability after high blood pressure. The Global Burden of Diseases report was based on smoking habits in 195 countries and territories between 1990 and 2015. It found that nearly one billion people smoked daily in 2015. Although that was a reduction from one in three men and one in 12 women who smoked in 1990, population growth meant there was an increase in the overall number of smokers, up from 870 million in 1990. The number of tobacco-related deaths, which stood at more than 6.4 million in 2015, increased by 4.7 percent over the same period. The study found some countries had succeeded in efforts to help people kick the habit, mostly through a combination of higher taxes, warnings on packages and education programmes. Over the 25-year period, Brazil had seen the percentage of daily smokers drop from 29 percent to 12 percent among men and from 19 percent to 8 percent among women. The report nevertheless indicated that Bangladesh, Indonesia and the Philippines had seen no change from 1990 to 2015, and Russia saw smoking among women increase by 4 percent over the same period. Similar trends were emerging in parts of Africa, the authors warned. 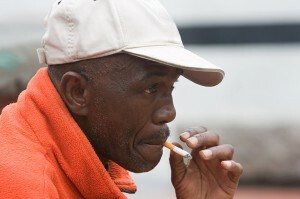 According to the report’s senior author Dr Emmanuela Gakidou: “Despite more than half a century of unequivocal evidence of the harmful effects of tobacco on health, today, one in every four men in the world is a daily smoker. “Smoking remains the second largest risk factor for early death and disability, and so to further reduce its impact we must intensify tobacco control to further reduce smoking prevalence and attributable burden. The report was published in the medical journal The Lancet and co-funded by Bloomberg Philanthropics and the Bill and Melinda Gates Foundation.